America finds itself squared with an enemy in ISIS that utilizes tactics one can only call evil and nightmarish. It crucifies, beheads, and burns its enemies alive. The recent video of a Jordanian pilot writhing in flames, for example, has sparked moral outrage, and rightfully so. 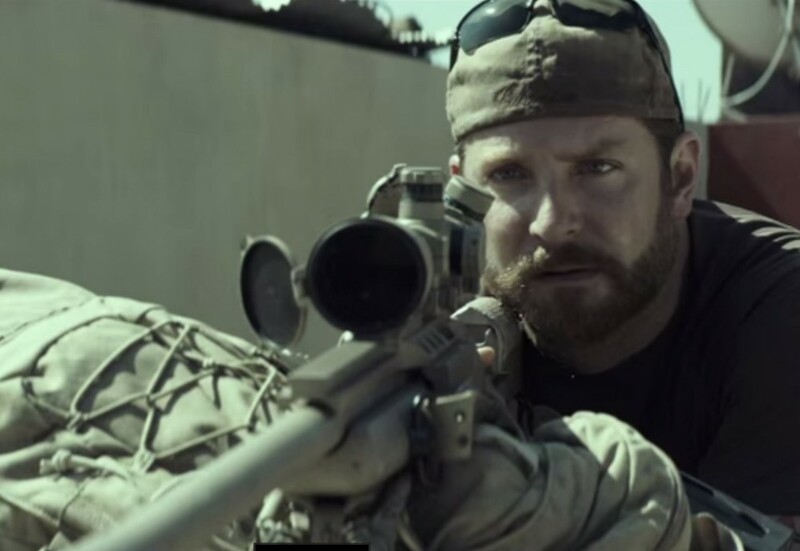 It’s in this context that the “American Sniper” film has proven one of the most culturally explosive films in years. In particular, we’ve heard much discussion of Chris Kyle’s use of the word “savages” to describe the terrorists he fought overseas—and which he would certainly call ISIS, or the Islamic State, if he hadn’t tragically been killed. Kyle has been routinely criticized for drawing a sharp line between good and evil. Savage, despicable evil. That’s what we were fighting in Iraq. That’s why a lot of people, myself included, called the enemy ‘savages.’ There really was no other way to describe what we encountered there (4). The number is not important to me. I only wish I had killed more. Not for bragging rights, but because I believe the world is a better place without savages out there taking American lives. Everyone I shot in Iraq was trying to harm Americans or Iraqis loyal to the new government (4). These comments—and others—have drawn a great deal of attention since the film debuted in December 2014. The most serious critique regarding these passages is that Kyle has dehumanized his enemy and, in doing so, has justified even harsher retaliation at the hands of American military forces. This is a substantial charge that we believe demands a better answer than it has received. Our response is threefold. He called evil what it was. Like virtually all American combatants in Iraq, Kyle saw the opposing side commit evil acts, over and over again. He watched a mother put her child in mortal jeopardy by pulling a grenade pin. He saw the enemy use children for shields. Those he fought frequently took drugs to ramp themselves up for combat, and they were driven not by a sense of virtue, but “blood lust,” as Kyle noted. In this one house, we heard faint moans as we went down into the basement. There were two men hanging from chains on the wall. One was dead; the other barely there. Both had been severely tortured with electric shock and God knows what else. They were both Iraqi, apparently mentally retarded—the insurgents had wanted to make sure they wouldn’t talk to us, but decided to have a little fun with them first (163-64). The second man died while our corpsman worked on him. There was a black banner on the floor, the kind the fanatics liked to show on their videos when beheading Westerners. There were amputated limbs, and more blood than you can imagine. It was a nasty-smelling place (164). This is evil in its purest form. It is what Kyle and his fellow Americans were in Iraq to fight. Kyle did not sacrifice his time and energy to stereotype people (even as he has been stereotyped). He traveled far from the comfort and pleasure of home to oppose wickedness and protect the innocent. Chris Kyle saw evil. He saw savagery. He named it, and for that he is a pariah to the American Left. Kyle said some strong things, to be sure. He notes throughout his autobiography that he struggled with hating the enemy. This is a common experience for soldiers of all sides, and we can be honest about it. It is far from ideal, but this is part of the effect of the fog of war, of trying to kill someone whose goal is to kill you. A preening minority has focused a great deal of attention on the just exploits of a conscionable soldier and correspondingly little attention on the terrorists who made his sniping necessary. Kyle was a tough customer. He used rough language and sometimes shot off his mouth. But he wasn’t calling innocent people savages. He also wasn’t speaking to the inherent worth of those he fought. He was referring to insurgents and terrorists who had freely chosen to target civilians and destroy the moral and sociopolitical order of Iraq. They tortured disabled people. They blew up children. They created anarchy and chaos in order to stop the many civic-minded Iraqis who wanted to build a stable society. The pushback against Kyle is both ironic and instructive. It is ironic because a preening minority has focused a great deal of attention on the just exploits of a conscionable soldier and correspondingly little attention on the terrorists who made his sniping necessary. It is instructive because the West has largely lost any sense of martial virtue. Now, we are taught, war is wrong, and anyone who partakes of it is equally implicated. There is no honor in war. So say those who depend upon soldiers to be able to advocate their opinions (precious few of whom have gone without Wi-Fi for a day in their lives, let alone faced an actual terrorist). To call evil “savagery” is not to justify harsher, capricious treatment in return. Our position requires consistency and fair application. Were U.S. soldiers to ever act in similar barbarism, they, too, would be acting savagely. America has rules of engagement, a well-defined system of accountability, and it subjects offenders to trials in courts of law. This is moral realism in practice. Borders do not determine good and evil. American militancy is not barbarism, and our martial code both deplores it and guards against it. Our argument suggests that as humans deploy or embrace attitudes and actions that are intrinsically evil, they become further enslaved to sub-human irrationalities. This adopted madness mars the image of God we all naturally bear by a willful descent into irrational evil. Despite what some voices within the Christian tradition have alleged, this descent reveals that language invoking “savagery” is not wrong. Labeling an enemy a “savage” by virtue of their brutal, cruel tactics does not deny their ontology as image bearers of God. It does describe vicious, primitive, and barbaric acts as a descent into animalistic rage.It is not our use of such language that dehumanizes terrorist combatants. They willingly choose to become dehumanized by failing to resist either internal or external pressures to cooperate with evil. We are thankful that many understand this devolution. For example, a Princeton scholar and a diverse constituency recently released a petition that called the actions of ISIS “unconscionable acts of barbarism” and called for U.S. intervention. Kyle stands shoulder-to-shoulder with many figures in the Christian tradition who have indicted the evil of the human heart. Jesus also called his opponents by this term in Matthew 3:7 and 23:33. His apostles did not hold back, either. Peter called false teachers “irrational animals” and “accursed children” (2 Peter 2:12, 14). Paul thundered to the Galatian church, “I wish those who unsettle you would emasculate themselves!” (Galatians 5:12) These biblical figures made such strong pronouncements because they knew that wicked people existed. They recognized the church would lose its way if these false teachers were not opposed and the gospel of grace clarified. The stakes were too high for politesse. Solzhenitsyn’s witness won’t allow us to perform the amoral sleight-of-hand perfected by our sitting president, in which we condemn atrocities but fail to use the “e” word (“evil,” for the presidentially influenced). Good and evil exists within each of us. Without divine assistance and the cultivation of moral virtue, the descent into brutality and evil exhibited by a foreign enemy could easily sweep over each of us. We find ourselves in a weakened age. Much of manhood has been carved out. Little of it is left. Part of what our culture has lost as a result is the moral discourse associated with virtue, and traditionally with manly virtue. We are not allowed to use black-and-white moral terms today. The loss of our moral language leaves us a nation without a soul. At best, we feel endless pressure to nuance and qualify and back-track. At worst, we offer vacuous moralisms about the messiness of war meant to indict each side’s guilt. We are losing our ability to make moral judgments, because moral judgments can only be expressed with cold, hard, right-and-wrong words. The loss of our moral language leaves us a nation without a soul. Occasionally, however, a courageous person shouts so loud that he or she cannot immediately be silenced. The moral certitude of this voice is so strong, so unusual, that for a glorious moment, the censors of society are struck dumb. For a time, before he was cruelly cut down, Kyle filled this role, in his rough-and-tumble way. He did the unthinkable: he used language that was irrevocably moral. That, alongside his courage and proficiency in battle, renders him something more than an American sniper. It renders him an American hero. Owen Strachan is a professor at Southern Seminary and Boyce College, president of CBMW, and author of the forthcoming The Colson Way. Andrew Walker is the director of policy studies with the Ethics and Religious Liberty Commission and the author of essays published in Time, First Things, and National Review.